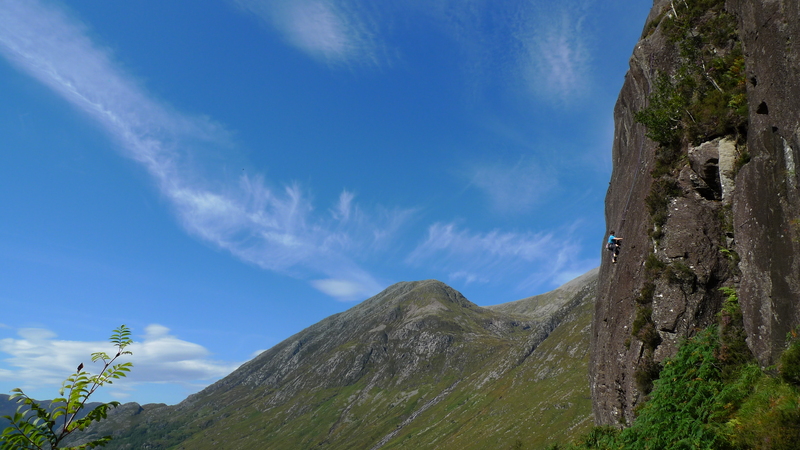 Scotland has had an amazing week of dry, warm weather and no midgies in sight! 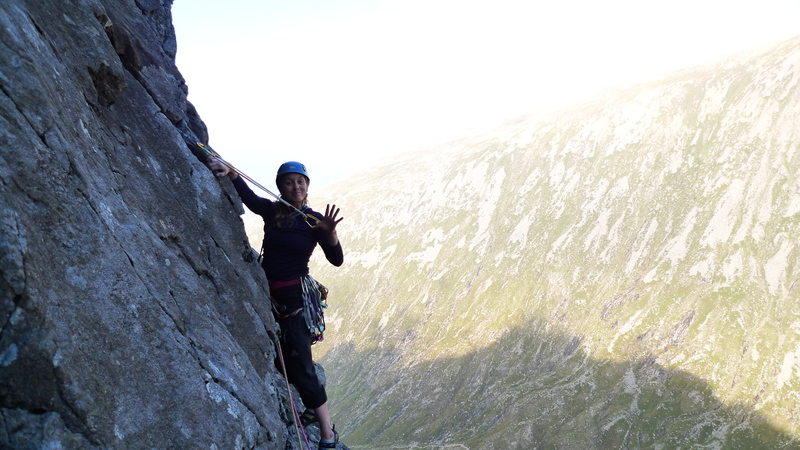 needless to say I have been making the most of it climbing in Glen Nevis with Kev, Dot and Joe seeking out new routes, working the project and repeating classics. 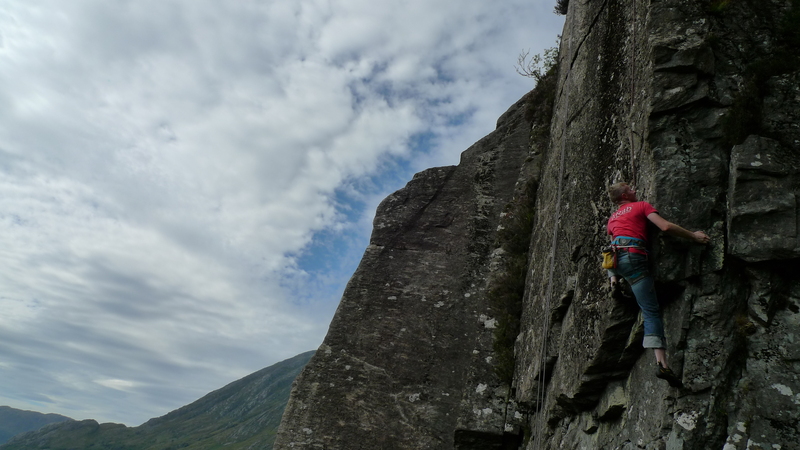 Its exactly what I moved to Fort William for: seeking improvement in my climbing amongst a new set of psyched and talented friends. 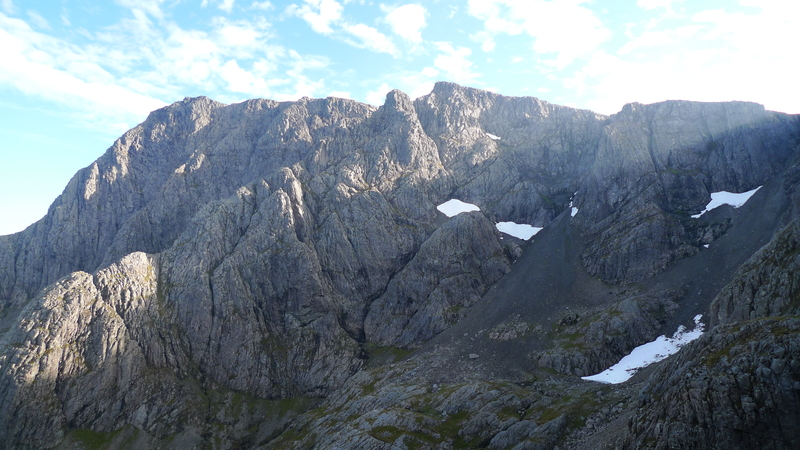 Kev has set his sights on a new line just to the right of the existing project I have been trying, its a short sharp arête that certainly packs a punch! 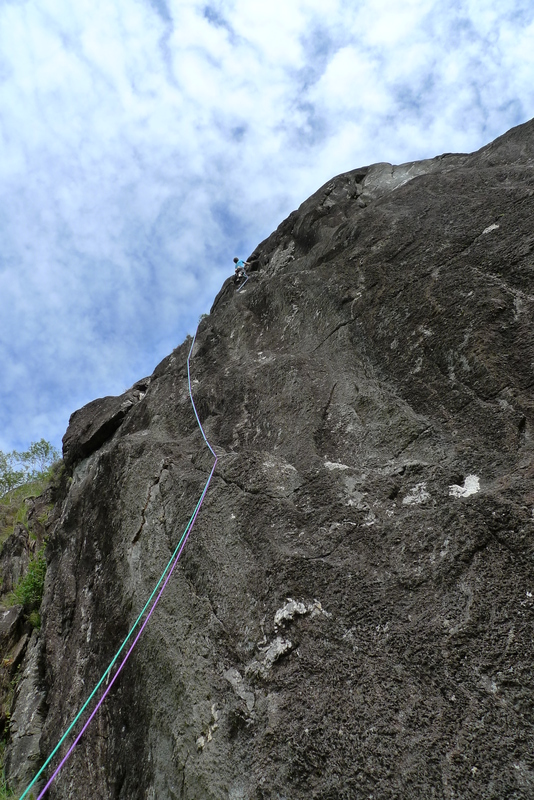 Whilst trying and cleaning our aspiring routes Dot and Joe climbed Bewsey Crack (HVS, 5a) before both leading First Wave (E1,5c), both commenting on how good the climbing was. 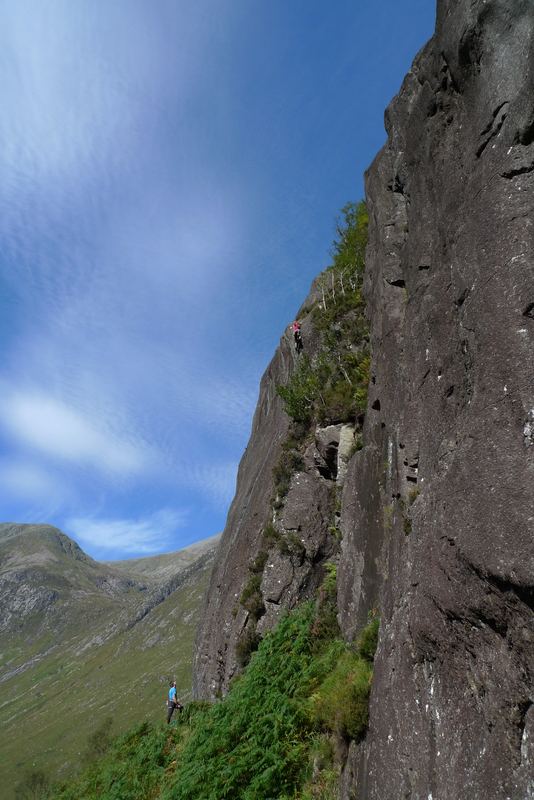 Yesterday Dot and I took a chance on Ben Nevis and came away with the classic tick of Centurion (HVS, 5a). 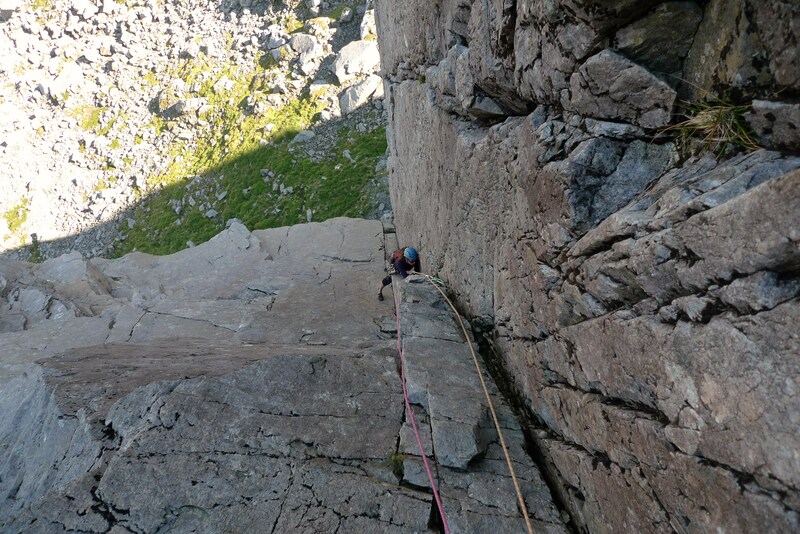 Like many others I have stood under this route on more than enough occasions most recently with Davie only to be deterred by an extremely wet looking crux pitch. Today however, it was only sporting a small wet streak which meant Dot and I enjoyed the route and infact the whole North Face of Ben Nevis to ourselves! 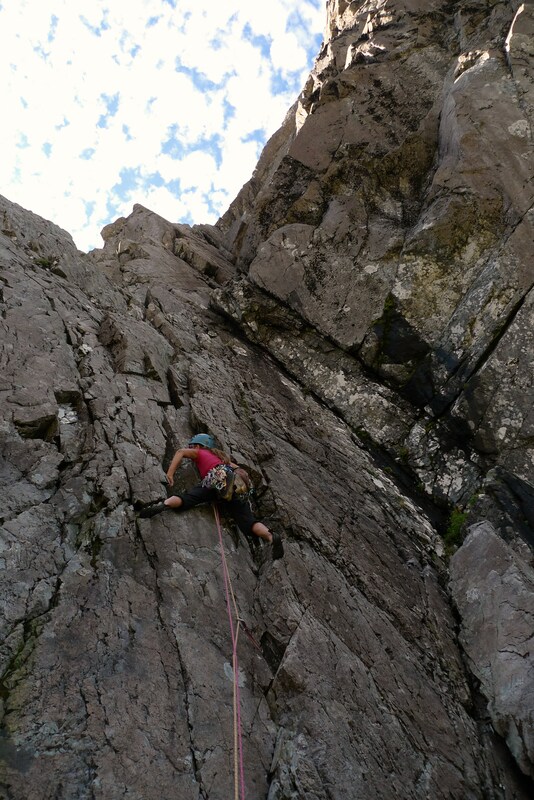 Superb to get another great route ticked off the wish list.